The William Stringfellow project continues where I read all of William Stringfellow's books in order and in their first editions. For previous installments visit the sidebar. 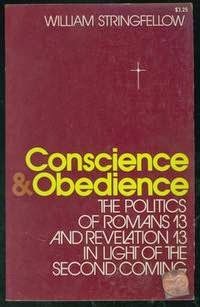 After what many consider to be his best book--An Ethic for Christians and Other Aliens in a Strange Land--Stringfellow followed up with Conscience and Obedience: The Politics of Romans 13 and Revelation 13 in Light of the Second Coming. Conscience and Obedience was published in 1977 by Word out of Waco, TX. The dedication of the book reads: "for post-americans." As you can tell from the dedication, the focus of Conscience and Obedience is political theology. The book was prompted by a question an FBI agent posed to Stringfellow after the fugitive priest Daniel Berrigan was discovered hiding at Stringfellow's house. You'll recall that Berrigan was avoiding the authorities as a part of the Catonsville 9 action protesting the Vietnam War. Stringfellow had been writing An Ethic when the FBI captured Berrigan at Stringfellow's house, a book in which Stringfellow compared the US government to "the principalities and powers" described in the New Testament. Which clearly had something to do with why Stringfellow felt that it was theologically and morally appropriate to provide haven to Berrigan. Something that Stringfellow was subsequently indicted for. His query startled me, I admit, not so much for its thrust as for the evidence it gave of how minutely the ruling powers scrutinize citizens. I could not concede the simplistic premise about the Bible which his question assumed, and I rebuked him about this, taking perhaps forty-five minutes to do so. During the discourse, he wilted visibly, and, when I paused momentarily, he abruptly excused himself and departed. This was some disappointment to me, for I had only just begun to respond to the multifarious implications of the issue he had raised. The episode contributed to my conviction to write this book. To have been a fly on the wall during that exchange. Anyway, we can assume that Conscience and Obedience is what Stringfellow would have shared with the FBI agent about what it might mean, theologically, to "obey the Emperor." Stringfellow builds his analysis, as you can tell by the subtitle of the book, by exploring the tensions between Romans 13 and Revelation 13. These are two critical texts for political theology but they seem to give contradictory messages. The beast was given a mouth to utter proud words and blasphemies and to exercise its authority for forty-two months. It opened its mouth to blaspheme God, and to slander his name and his dwelling place and those who live in heaven. It was given power to wage war against God’s holy people and to conquer them. And it was given authority over every tribe, people, language and nation. All inhabitants of the earth will worship the beast—all whose names have not been written in the Lamb’s book of life, the Lamb who was slain from the creation of the world. You can see the tension. Are governments the "servant of God" as described in Romans 13 or the surrogate of "the Dragon" as described in Revelation 13? Should we submit to governments or resist "the Beast"? These are the sorts of questions Stringfellow is trying to answer in Conscience and Obedience. Stringfellow beings in Chapter 1 by giving his vision of Christian ethics. According to Stringfellow, Christian ethics is not rooted in rules of conduct that are standardized across time, place, context and persons. For Stringfellow, when ethical principles and rules are articulated in the abstract in order to make them both "timeless" and "universal" they are removed from the complexities and ambiguities of lived human experience. This is why the bible doesn't give us a complete and rule-bound ethical system to follow. 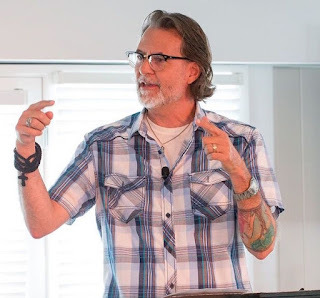 As Stringfellow says, "any ethical system which is settled and stereotyped, uniform and preclusive, neat and predictable" is both "dehumanizing" and "unbiblical." Ethics has, essentially, to do with the exercise of vocation--with name and identification, selfhood and relationship, capability and function, place and purpose--for both institutions and authorities as well as persons. What is our vocation? Our vocation is worship, service to the the gift of life as given to us by God. Thus, when persons or institutions are cherishing, serving and caring for life they are exercising their vocation and living ethically before God. All this is spoiled and distorted in fallen creation. The biblical story of the fall bespeaks the renunciation of life as gift. This discussion of vocation and the Fall allows Stringfellow to unpack the differences between Romans 13 and Revelation 13. Specifically, Romans 13 is describing the vocation of government, how governments were created by God to protect, serve and nurture life in Creation. Consequently, insofar as government is fulfilling its proper vocation before God--that is, when governments worship God as agents of life--the government should be obeyed. However, in the Fall governments have lost their vocation. In this instance governments don't direct worship toward God but, rather, take the place of God demanding idolatrous service, allegiance, submission and loyalty. Governments become "the Beast on earth," servants of "the Dragon," agents of death. That is what Revelation 13 is describing. [V]ocation [is] the clue to conscience and obedience in nation and in church. Vocation is also at root of Christian resistance to the state. When the Christian resists the state the Christian isn't resisting the state per se but is, rather, recalling the state to its proper vocation. Political resistance is calling the state back to worship. That said, the church struggles to critique the state in this way because of what Stringfellow names as "the Constantinian Arrangement" where the church becomes involved "in the preservation of the political status quo." In Chapter 3 Stringfellow turns to the issue of anarchy, law and order. Stringfellow wants to tackle the objection that, "Without [obedience to the state], it is said, there would be anarchy." Stringfellow's answer to this question is to point out how sin is being limited in this objection to human agents. That is, human agents, because of sin, are agents of social chaos. The state, by contrast, is a virtuous, stabilizing and ordering agent. Metaphorically, citizens are rebellious children and the state is the wise parent. The problem with this, according to Stringfellow, is that such a notion fails to grasp that the state is just as fallen and sinful as human persons. Specifically, more often than not the state, rather than human persons, is the cause of social disruption, chaos and instability. Citizens aren't just getting agitated all on their own. They are often responding in anger and hurt to abuses inflicted upon them and their neighbors by the state. After all, war is chaos; hunger is disorganization; pollution is havoc; disease is dysfunction; tyranny is anarchism; violence is disorder. Creation is truly fallen. In Chapter 4 Stringfellow turns to a discussion of the "Second Advent." 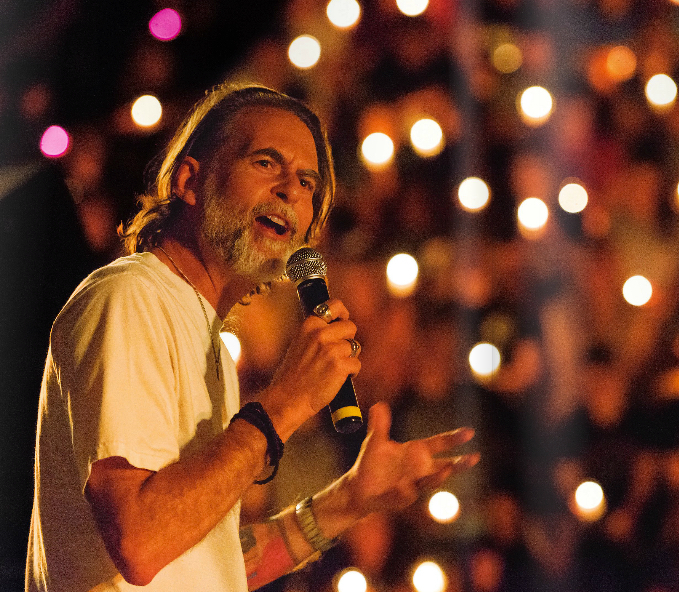 For Stringfellow, the first Advent was the inauguration of the Kingdom of God on earth in the person of Jesus and the community gathered confessing him to be "Lord of all." The second Advent, according to Stringfellow, is the coming of Jesus as Judge of the principalities and powers announcing "the destruction of all worldly political authority..." As Stringfellow summarizes, "Judgment--biblically--does means the destruction of the ruling powers and principalities of this age." And according to Stringfellow while the Second Coming is hoped for in history it is also an imminent reality, "the eschatological truth [that] is represented in any moment in any event in this world, to those whose eyes see and whose ears hear." The relationship between the Word of God and creation, even in time, transcends time and is, from a human point of view, imminent at any time. In the Word of God a thousand years are not more than a moment. If some have put aside the expectation, it is not because Christ is tardy and not because God has postponed the next advent, but because the consciousness of imminence has been confused or lost. I regard the situation of contemporary Christians as much the same as that of our early predecessors in the faith so far as anticipation of the Second Coming matters. We expect the event at any moment. We hope for it in every moment. We live in the imminence of the Eschaton. That is the only way, for the time being, to live humanly. Finally, given all this, how are Christians to live in relation to the state? If the state is as sinful and fallen as human agents, if the legitimacy of the state has been lost because the state fails to embrace its vocation before God, how are we to relate and respond to the state? Simply, what is the political task of the church? [T]he church of Christ is called as the advocate of every victim of the rulers of the age, and that, not because the victim is right, for the church does not know how any are judged in the Word of God, but because the victim is a victim. Advocacy is how the church puts into practice its own experiences of the victory of the Word of God over the power of death, how the church lives in the efficacy of the resurrection amidst the reign of death in this world, how the church expends its life in freedom from both intimidation and enthrallment of death or of any agencies of death, how the church honors the sovereignty of the Word of God in history against the counterclaims of the ruling principalities. This advocacy, in its ecumenical scope as well as its actual specificity, constitutes the church's political task, but, simultaneously, exemplifies the church's worship of God, as intercession for anyone in need, and for the need of the whole creation, which exposes and confounds the blasphemy of predatory political authority. Moreover, Stringfellow says that there is a "diversity of gifts distributed throughout the body of the church in order that no victim be without an advocate." If the church is called to advocacy, in a biblical sense, as a way of expressing its imminent eschatological insight, then the church cannot withdraw or retreat or escape from political involvement; it cannot indulge equivocation or apathy or indifference. On the contrary, in freedom to take the part of any victim, the church is plunged into the most radical sort of political witness in which the church besets political authority on every side, incessantly, resiliently, eclectically, dynamically, and with the marvelous versatility which the diversity of gifts of the Holy Spirit abundantly supplies. Of course, we rarely see the institutional church engaging in such advocacy. But it does happen. Right here or over there, the church is always happening. [T]he Kingdom is, I believe, temporal as much as spatial...the event of the church constantly, repeatedly fractures time. This is to say, the church as an institution or nation is, first of all, an event of the moment, gathered here or there, but that does not predetermine whether or how the church will appear again. The church is episodic in history; the church lives in imminence so that the church has no permanent locale or organization which predicates its authenticity as the church. This may seem a hectic doctrine of the church to the Constantinian mentality. It is. But it is so because it suggests the necessity of breaking away from Constantinian indoctrination in order to affirm the poise of the church awaiting the second advent of Jesus Christ. Wow, this one is going in the journal. This reviews seems rather short in contrast with some of the others. Is the book particularly short or does this one not as compelling to you as some of the others? So my conservative friends talk About taking America back. My progressive friends talk about restoring God's kingdom vision and purpose to the church which often includes an anti Constantinian bias. But "Keeping the church out of politics" was the strange mantra when I was growimg up in 50's Southern evangelical Protestantism. O Lord, give me eyes to see and ears ro hear and a head and heart to understand and get with the vocation of the reign of Jesus. And above all, beware the establishments about me and the fallenness of our age. And God, please help me not to become a befuddled pseudo cynic in the process. To me, Romans 13 sounds obviously ironic. Paul was constantly in trouble with the authorities, and according to tradition he was eventually executed by the sword of the rulers. Those who knew anything about Paul must have been giggling when this passage of the letter was read aloud.